We are manufacturer and supplier of Stone Veneer. Stone Veneer is used as a protective and decorative covering for exterior or interior vertical walls and surfaces. Stone veneer can be made from natural stone as well as manufactured stone. Natural stone veneer is made from real stone that is either collected, i.e. field-stone or quarried. The stone is cut to a consistent thickness and weight for use as a veneer. This stone is often called thin stone veneer. Manufactured stone veneer is a decorative building material manufactured to replicate the look of natural stone. The names artificial stones, faux stone, stacked stone veneer, manufactured stone, and flexible stone veneer are also used for manufactured stone veneer. We are well eastablished manufacturer, supplier and distributor of Stone Veneer. 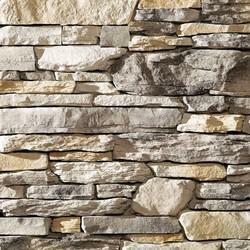 Stone Veneer is used as a protective and decorative covering for exterior or interior horizontal walls and surfaces. Stone Veneer lends elegance and beauty to the area where it is installed. 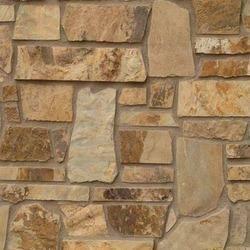 Our offered Stone Veneer is appreciated for its durability and aesthetic appeal. We are engage in offering Natural Stone Veneer. These Natural Stone Veneer are manufactured by the finest quality natural thin stone veneer in a large variety of finishes and colors. Our stone veneer can be used for Commercial, residential, interior or exterior applications, on floors, walls, kitchens, bathrooms, entryways, fireplaces, even your pool – our product offers flexibility in architectural and decoration applications. We offer 8 different finishes in stock and 16 available colors providing endless possibilities for your projects. You can even mix and match colors and finishes for a look that’s all your own. We also provide custom designs. Our natural stone veneer products are defined by their durability, high density and overall quality which allows you to achieve superior project results. Our products are independently tested and certified to meet the highest quality architectural specifications. And unlike synthetic stone, our products are virtually maintenance free.